Eating healthy can be overwhelming. There’s so much to remember, and it’s true when people say that the more you know, the more complicated it can get. 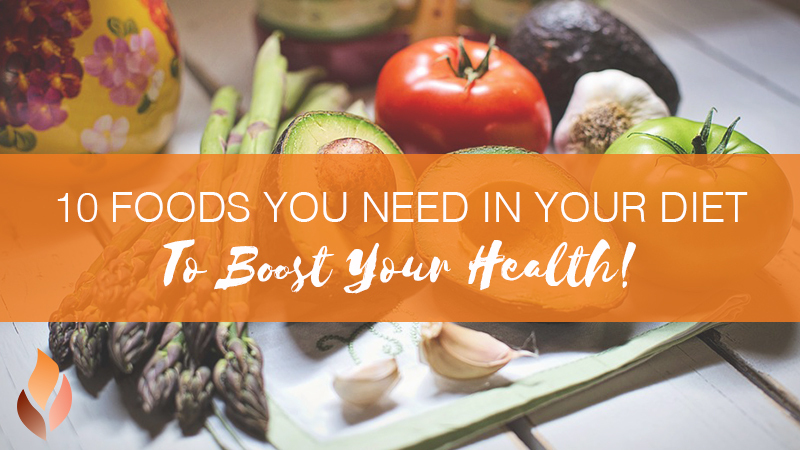 That’s why it’s important to pick out a few healthy foods that agree with your belly, your budget, and your taste buds—reliable staples that you know you’llalways be in the mood for. Chia seeds are chock-full of fiber, protein, omega-3s, and essential vitamins and minerals like calcium and magnesium. I buy these tiny nutritional powerhouses in bulk and make a LOT of chia pudding, which I love eating for any meal of the day. My favorite way to eat them is to blend frozen mango in with the coconut milk before I soak them overnight; it gives them an amazingly tangy flavor. This pick won’t surprise anyone, but I try to eat at least one giant serving of leafy greens every day. This is normally done by using them as a base for one of my meals (like a salad or sautéed vegetables), but if I’m not feeling a big salad or cooked greens, I load them in a green smoothie or go buy a big green juice—because is a day without leafy greens even a day at all? Coffee doesn’t normally sit well with my nervous system, so I’ve gotten really into teas, especially herbal ones. I drink a cup of chamomile or valerian every night before bed and love drinking detox-support teas—like a dandelion—throughout the day. I try to buy loose-leaf tea for environmental reasons and because I think it tastes better that way! My absolute favorite daytime tea is fresh peppermint leaves steeped for a few minutes with something covering the cup to keep all the essential oils intact. It’s perfect for the afternoon slump. I always have sauerkraut in the fridge and have gotten in the habit of eating a few spoonfuls with dinner every night. It’s super low-calorie, so it’s a nice way to supplement a meal and is also a fermented food, so it contains healthy bacteria that feed my microbiome. If I run out and forget to buy more, my gut notices its absence. 5. Nuts and nut butters. I don’t eat a ton of meat (maybe only two or three times a week), so for me nuts are an important source of protein and healthy fat. I try to rotate what I buy, but some of my favorites are walnuts, macadamia nuts, and Brazil nuts. 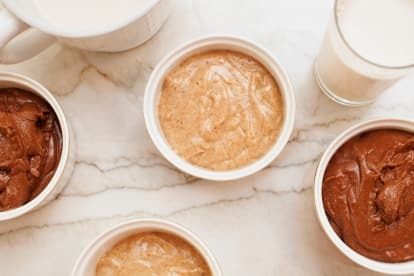 When I buy nut butters, I try to stick to cashew and almond butter, but every few jars I’ll get myself some peanut butter. I know peanuts aren’t technically nuts (they are actually legumes like peas and lentils) and they aren’t the healthiest (because of their high concentration of omega-6 fats and the fact that they often attract mold and allergens), but peanut butter is delicious and brings me back to my childhood. My favorite way to eat nut butters is on an apple or banana in the afternoon or added to oatmeal. Cruciferous veggies are nutritional powerhouses, so I’ll usually pop a few pieces of frozen cauliflower in my smoothie. One of my favorite snacks is raw broccoli or cauliflower with hummus. In the fall, when Brussels sprouts are in season, I bake them with coconut oil, salt, pepper, and some pumpkin seeds then drizzle a little bit of balsamic over them. I’ve been known to eat the whole tray in one sitting. Yogurt—specifically, unsweetened dairy-free yogurt—is one of my all-time favorite foods. It’s so versatile and easy to love. I eat it for breakfast with some chia seeds, nuts, and berries or whip up some homemade granola for an added treat. I cut dairy out of my diet about five years ago, and avocado was a lifesaver. It’s creamy and can easily take the place of cheese on salads, sandwiches, burgers—pretty much anything. Avocado toast is one of my favorite foods; I just mash avocado with olive oil, lemon, sea salt, pepper, and spread it on a really great Ezekiel or rye bread and then sprinkle with cracked red pepper. I try to incorporate a healthy oil into most of my meals. This can mean roasting vegetables in coconut oil and/or olive oil as the base for a homemade salad dressing, but it can also be as simple as adding a spoonful of coconut oil to my smoothie or some olive oil to my oatmeal, which is surprisingly delicious. I try my best to eat turmeric or ginger every day. Luckily, they are super versatile. Golden lattes, ginger tea with steamed almond milk and cinnamon, and this anti-inflammatory smoothie are some of my favorite ways to incorporate them into my day. Here’s the smoothie recipe this health editor relies on—plus, the turmeric coconut oil you’ll want to use to cook everything.